Wow! Homes of this quality rarely become available. 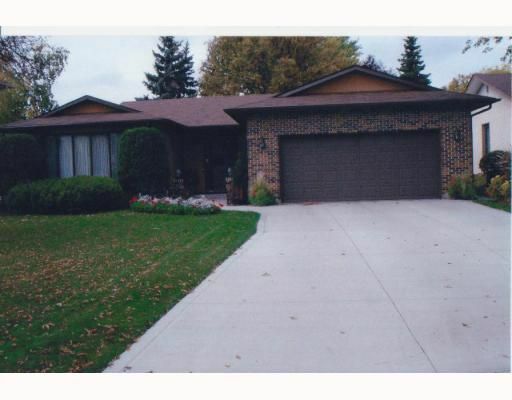 Meticulously cared for 3+ bedroom bungalow on a super quiet cul-de-sac. Upgrades include driveway 2007, eaves and fascia 2006, ext paint 2006, attic insulation 2006, some newer windows, mid-eff furnace 2001, and 25yr shingles 1999. You have to see this home to believe it, gorgeous inside and out. Lovingly landscaped yards featuring a large deck, interlocking brick patio, and a large cedar storage shed. Wonderfully developed lower level features huge workshop, spotless laundry room, 2 rec rooms, wet bar, and a bedroom. Main floor features formal sunken living room overlooked by formal dining room. Large family room with woodburning fireplace adjacent to eat-in kitchen. This is your family's next home no need to look anywhere else! showings start 03/09, OH 03/15, Offers 03/16 at 6pm. Completed home inspection available at viewing.